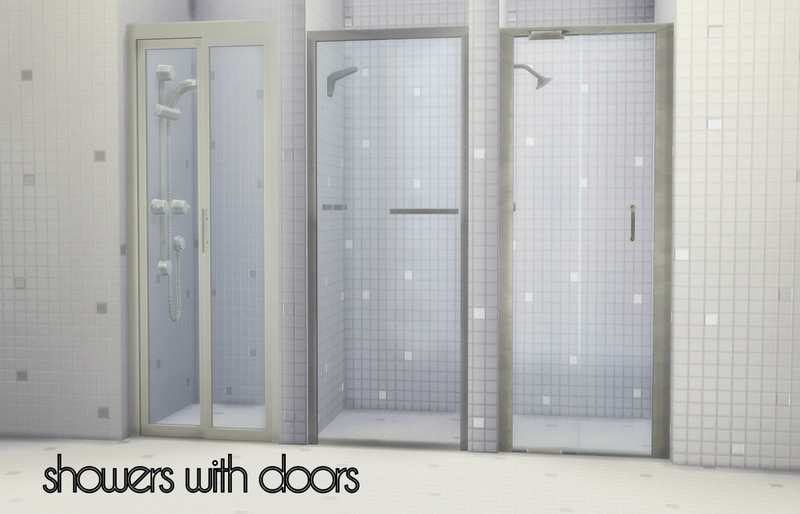 Toilets, showers & tubs, sinks, and hot tubs. 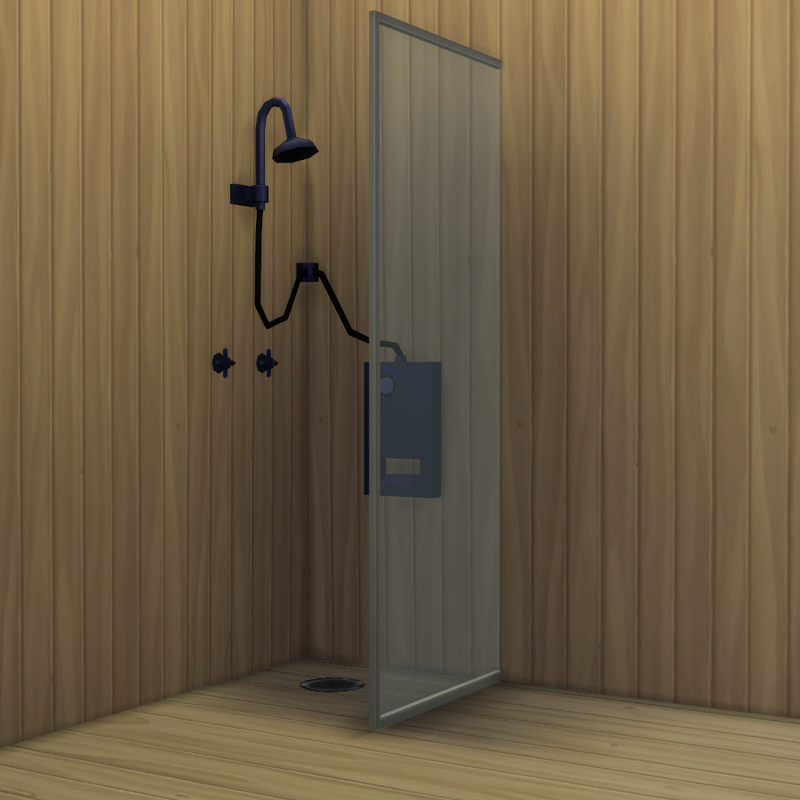 That's right, BUILD YOUR OWN SHOWER! 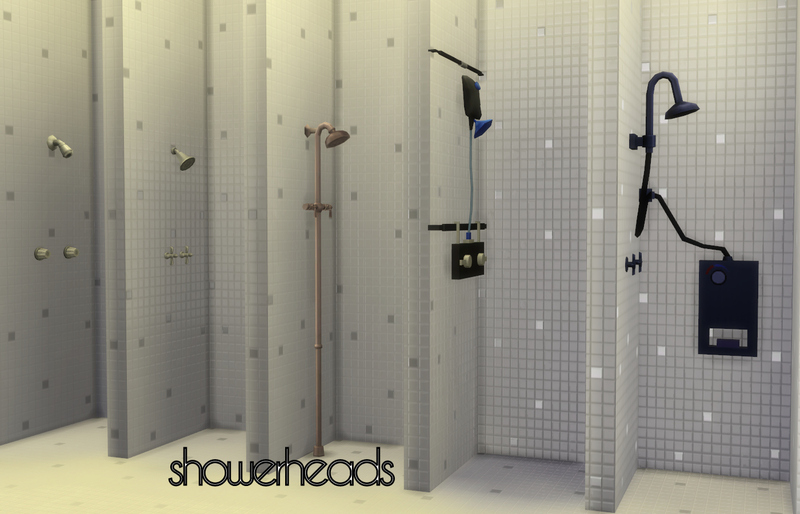 Use any wall or floor covering, choose your showerhead, even pick your drain! 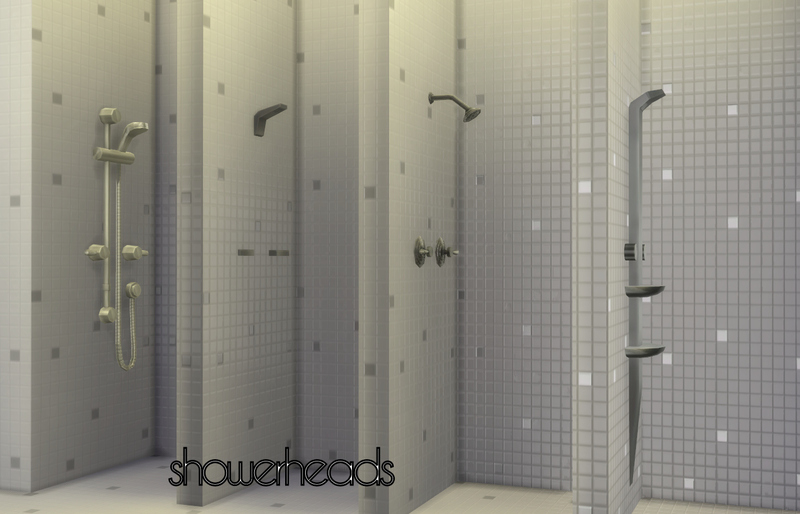 9 showerheads, 5 showers with doors, 5 panels, pole caddy, decorative wall shelf, wall soap dish, and drain. 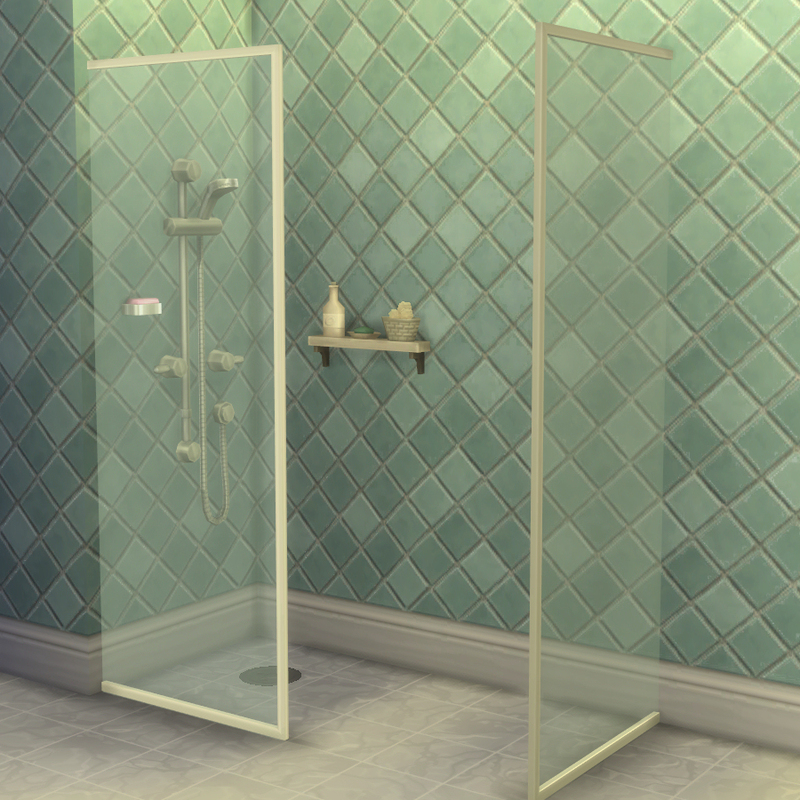 All showers but one have the same specs as the Crystal Box Shower. 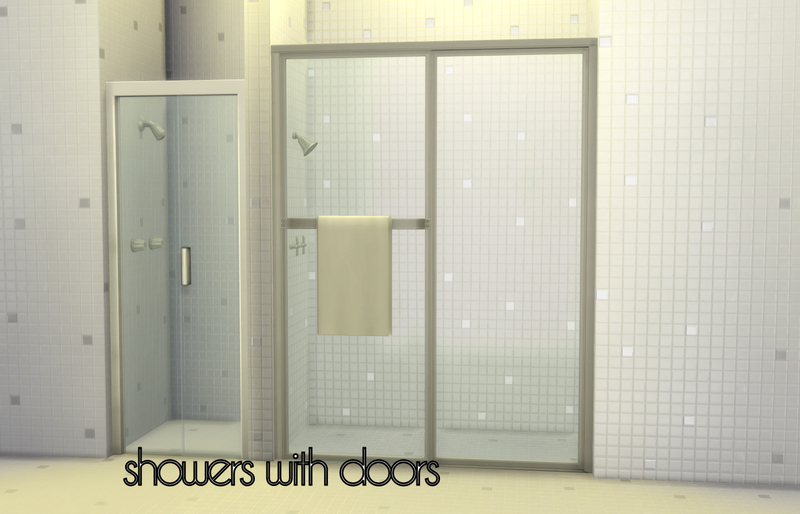 The exception is the Delight Shower, it affected the door animation when I tried to change the tuning. I kept the prices the same so they'll group with the originals in the catalog. 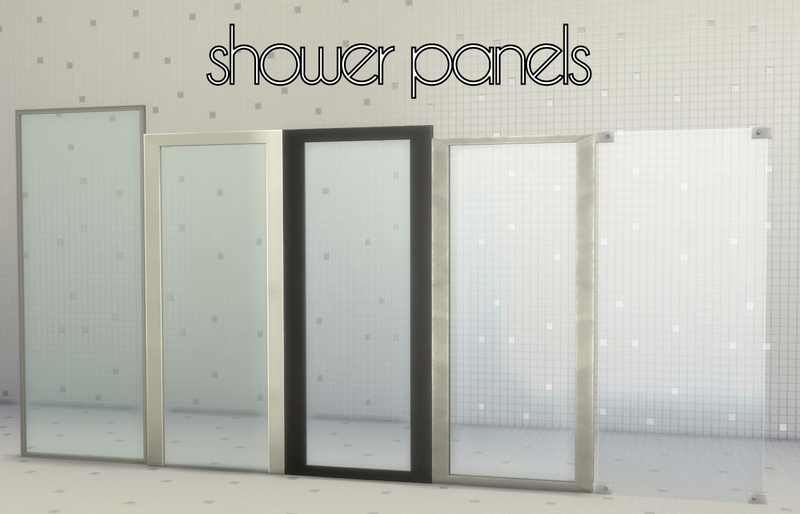 The Post Modern Shower with Door, RAW Shower with Door, and Under the Sea Showers require MOO to place. Not sure why, but the game says the meshes intersect with the floor even though they don't. 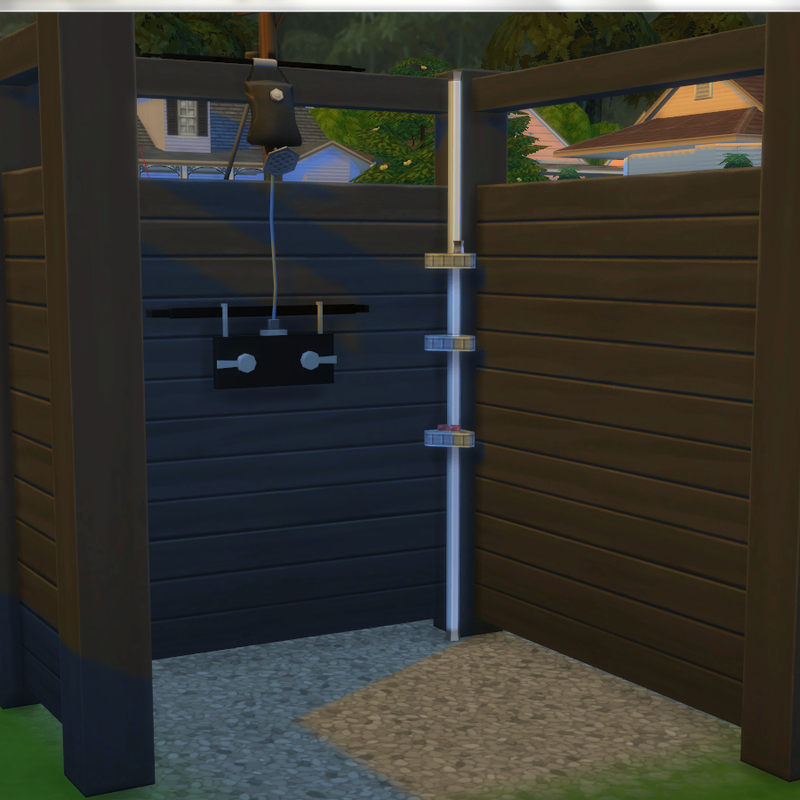 The Pole Caddy requires MOO to place in a corner. 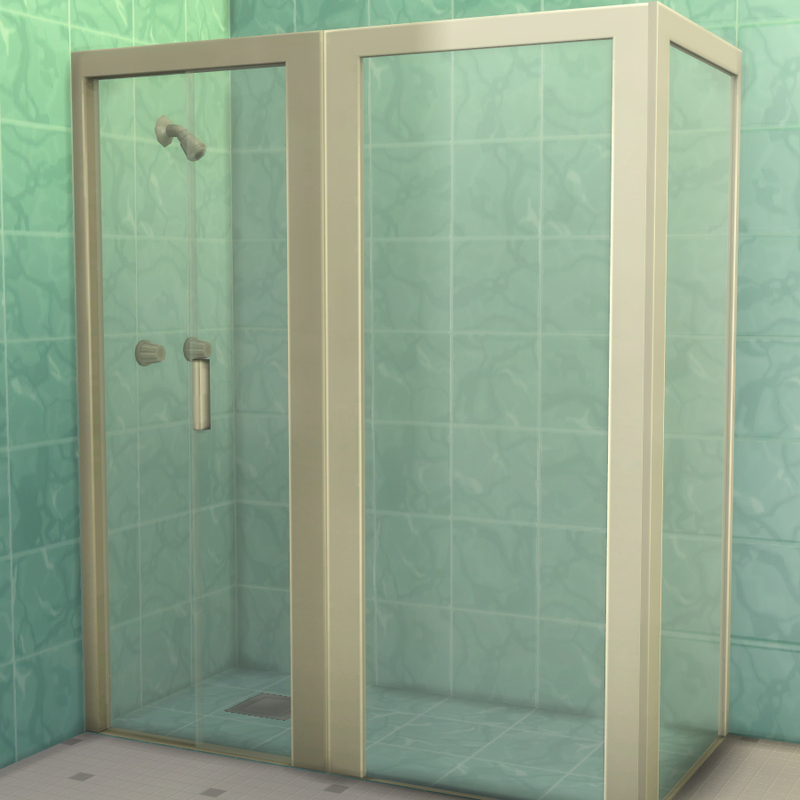 The accessories and the panels have decal footprints, that means that sims can walk through them. 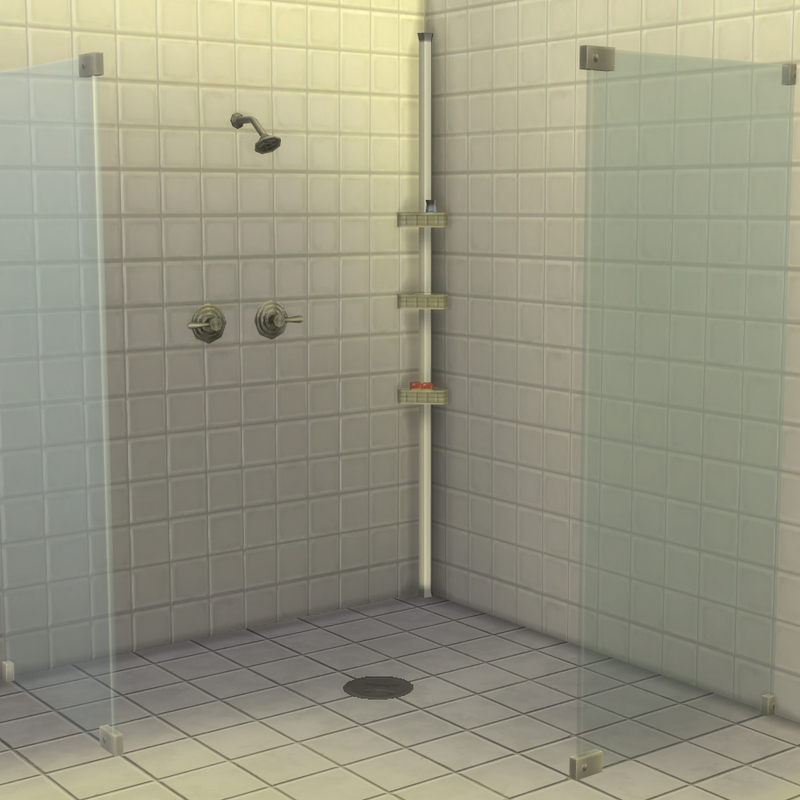 I had to do this so that they could be placed next to the showers. 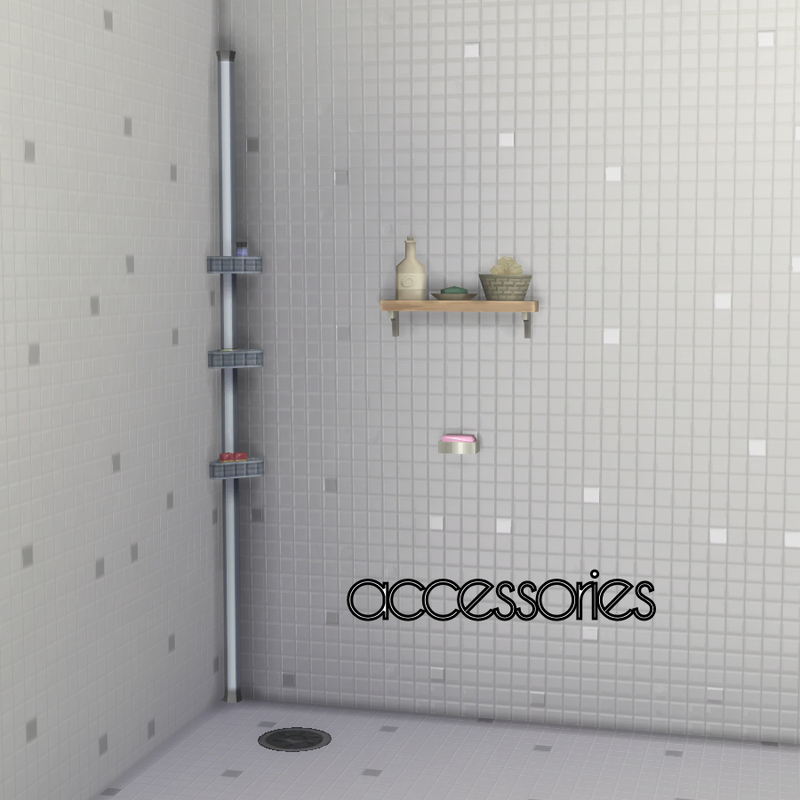 Find all objects easily by searching for "build"
Use, share, recolor, whatever with link and credit please. Also, a pm would be nice but it's not neccessary. Do not upload to any paysites or sites that require you to download through revenue-generating links (eg, adfly).